It’s a great time to be a synthesizer enthusiast. First, there’s the wealth of high quality virtual synths inside any digital audio workstation. For the relatively low cost of software like Ableton Live, Reason, or Logic, you get the real world equivalent of thousands of dollars of hardware gear. The computer allows capabilities impossible in the real world. Everything from the purest digital waveforms to pages and pages of modulation capabilities, the virtual world truly opens up worlds of sonic possibilities. DAWs have exposed new generations of producers to the wonders of synthesis and as a result, we’ve seen a resurgence in analog hardware synthesizers. Companies like Arturia, Korg, and Moog have rolled out all new, purely analog synthesizers at an affordable price. Musicians can easily get their hands on the real-world equivalent of some of their favorite virtual synths. But what about those interested in modular synthesis? Up until recently, the only way to test those waters is to start buying individual modules. Systems like the Eurorack have brought the prospect of modular synthesis to many, but to just get started, it’s going to cost a pretty penny. And anyone who’s involved with modular synthesis knows, once you get going, it’s a slippery slope. A few modules in and you can be out thousands! Thanks to Max for Cats, there’s an amazing software solution for Ableton Live and Max for Live; and you’ll never run out of patch cables. 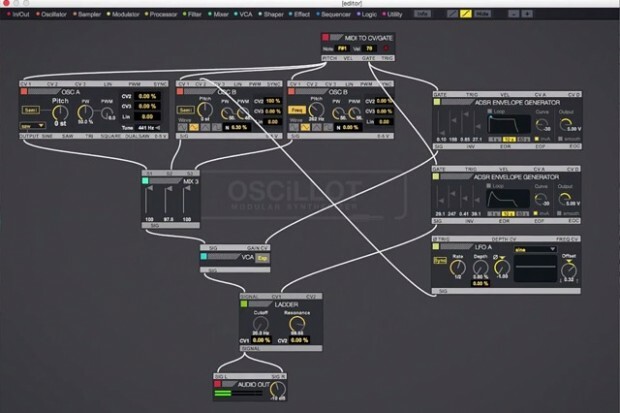 OSCiLLOT is a complete modular system built for Ableton Live. 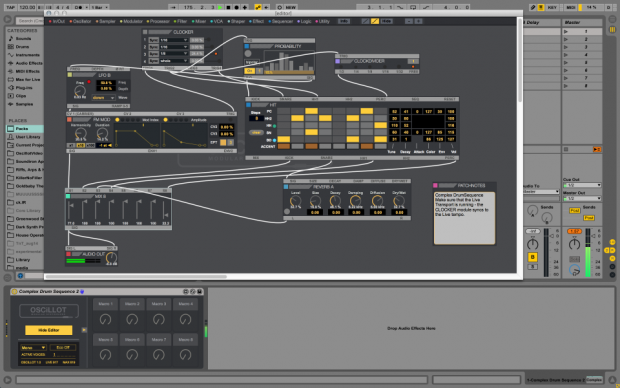 OSCiLLOT comes with over 100 modules and allows you to build your own synths, effects, sequencers and more, right inside Ableton Live. No longer are you tied to the devices the programmers have created; now you can build your own and let your imagination be your guide. At its core, OSCiLLOT is collection of independent modules you can connect to create and manipulate sound. Probably the most common use of OSCiLLOT is to build your own synthesizers. OSCiLLOT has up to 6 voice polyphony, which is quite difficult (re: expensive) to reproduce in a physical module setup. Using the different modules, you can create your own unique signal path of oscillators, filters, envelopes, and modulators to build the synth of your dreams. Because it’s all digital, there are no real world limitations of running out of modules or patch cables. In fact, if your creation starts becoming a tangled spaghetti of wires, you can just hide them! How handy would that be in the real world? It’s a truly inspiring tool for experimentation and sound design. OSCiLLOT also has a great effects section. You can chain together various modules to make your own unique effects that can be applied to any track in your productions. Some modules are familiar devices found inside of Live, while others are completely new. The ability to create experimental noises and glitched out sounds is huge. If you can dream it you can build it. Your audio will never be the same. What makes OSCiLLOT extra special is that it can interact with your CV/Gate enabled hardware. This means if you have a modular setup and DC coupled audio interface, OSCiLLOT can communicate with your rig like any other piece of modular gear. 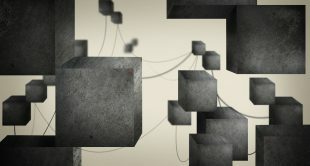 Many of today’s new analog hardware synths are CV/Gate ready, and they would just love to get connected with your virtual modular experiments. An understanding of complex modular routing is not a prerequisite. OSCiLLOT comes packed with a generous collection of presets, as well as a blossoming community of users that are sharing their patches online. Thanks to its simplicity, OSCiLLOT is a great learning tool for people new to synthesis. Because each component is separate, you can easily trace the signal path and gradually add in new modules. By learning to build your own synths, OSCiLLOT allows you to get a clear understanding of what each part of the signal path is doing to your sound. I’ve found it to be a great tool for teaching simple concepts of synthesis to beginner students. Perhaps the biggest draw to OSCiLLOT comes from its digital nature. It’s very easy to let a real world modular system grow out of control. We’ve all seen pictures of systems that take up entire walls of studios, covered in patch cables. OSCiLLOT solves those issues; everything is neatly organized in your computer. Should you get the urge to experiment with a ring modulator or a different style of filter, just load it up. No need to spend hundreds and thousands of dollars on new modules. And I’m sure we can all relate to the desperate hunt for a cable when inspiration is hot. Those days are over! 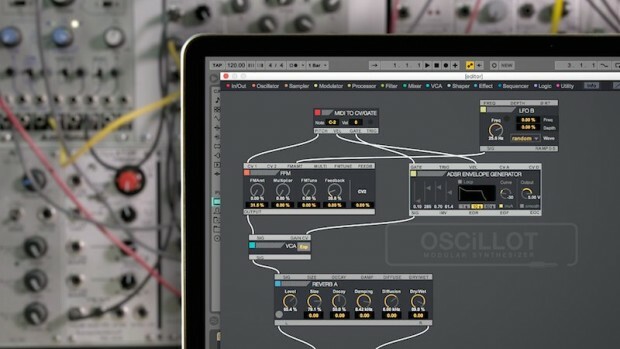 So whether you are a veteran synth enthusiast, sound designer, or a mad scientist, someone interested in exploring modular synthesis or a veteran patcher looking to expand your system, OSCiLLOT has you covered. It’s one of the most ambitious uses of Max for Live to date, and opens up a new galaxy of sound exploration. New Ableton Max For Live Devices – Download 18 for Free!